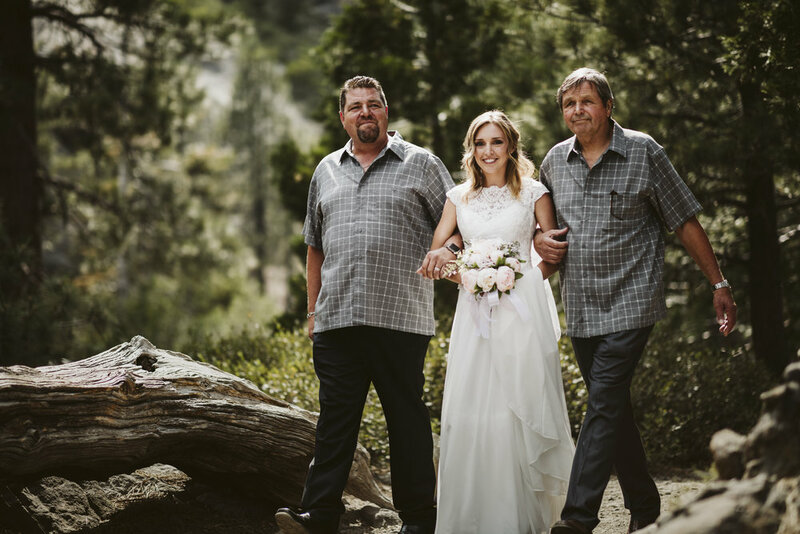 As Sam made her way up the trail at Emerald Bay, accompanied by her father and grandfather, it was clear how special this sweet and intimate ceremony would be. 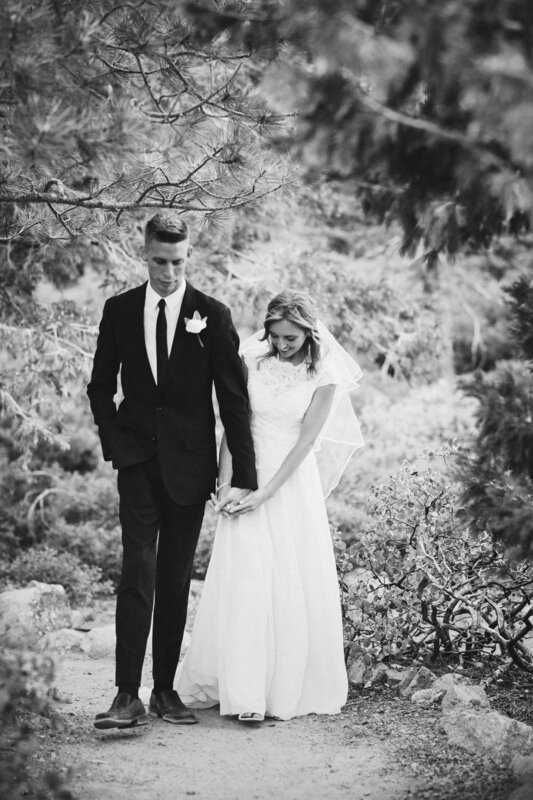 Chase, seeing his bride for the first time in her beautifully traditional gown complete with a sweeping skirt and short veil, teared up as she made her way towards him. 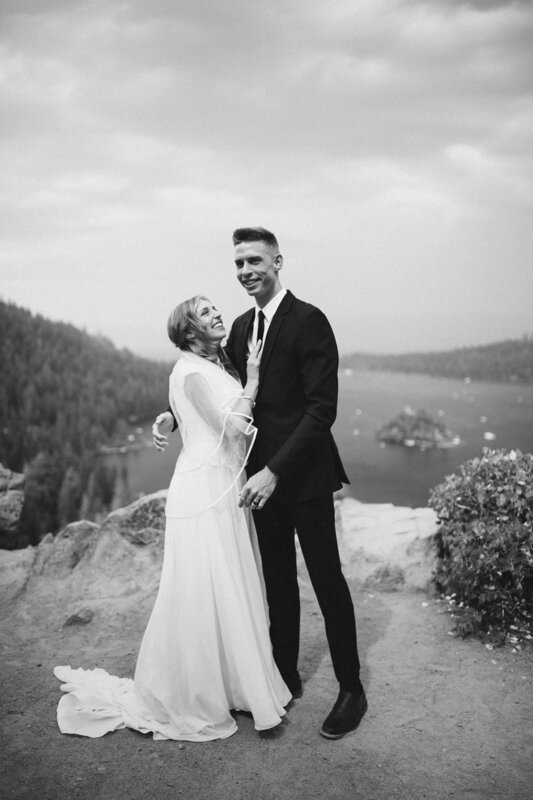 The couple, from Las Vegas, kept the entire day simple and without any unnecessary fuss. The focus of the day was truly a celebration of their love - and the love they have for their three kids. 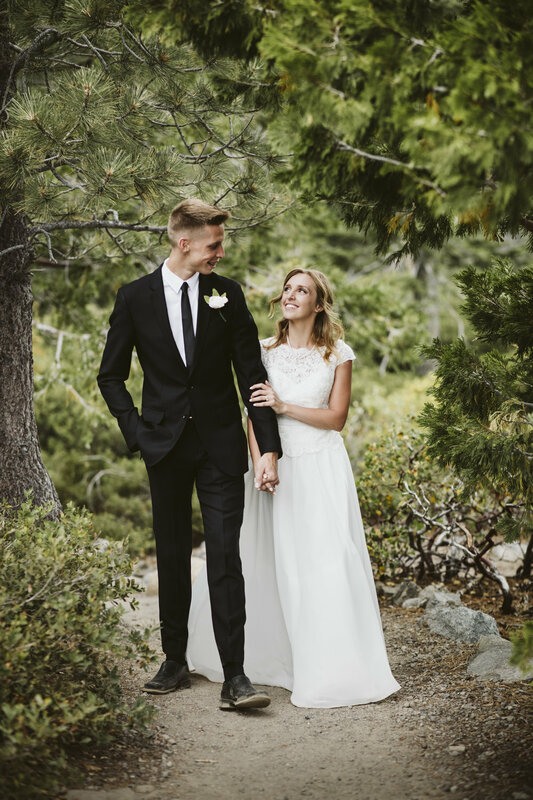 Accompanied by just a small group of family members and their closest friends, who journeyed to the ceremony site together by bus, Sam and Chase were a delight to work with. Their children, who loved playing with the giant Tahoe pine cones, were adorable. And, thanks to the late summer light, every shot we took turned out magical. 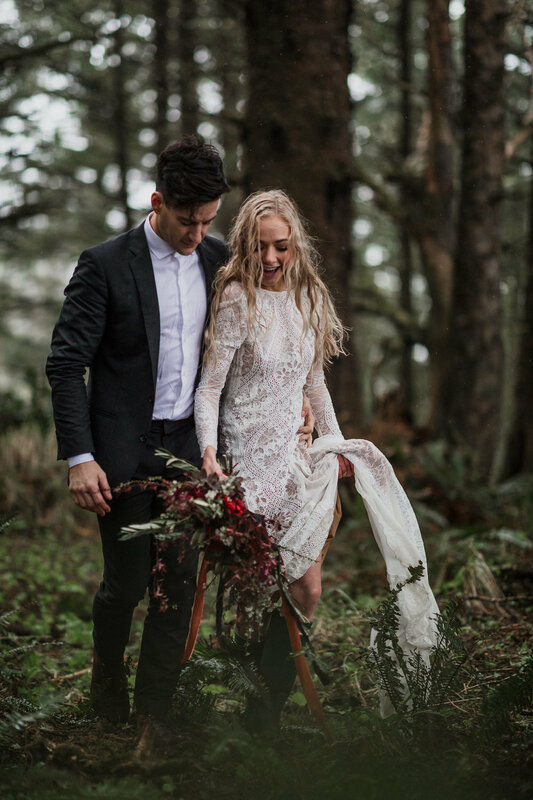 The day was proof that the simplest of wedding days really are some of the most special, especially when they are set to a stunning backdrop like Emerald Bay.